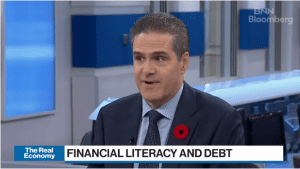 November 26 – Dollars and Sense, CKNW 980 AM in Vancouver, 2:00 pm (Toronto time), listen online here, and 7:00 am (Toronto time) on CFAX 1070 AM in Victoria, listen online here. November 5 – Dollars and Sense, CKNW 980 AM in Vancouver; archived clip here. 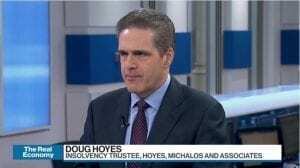 October 24 – CBC Ontario Today, What Bankruptcy Looks Like, archived clip here.